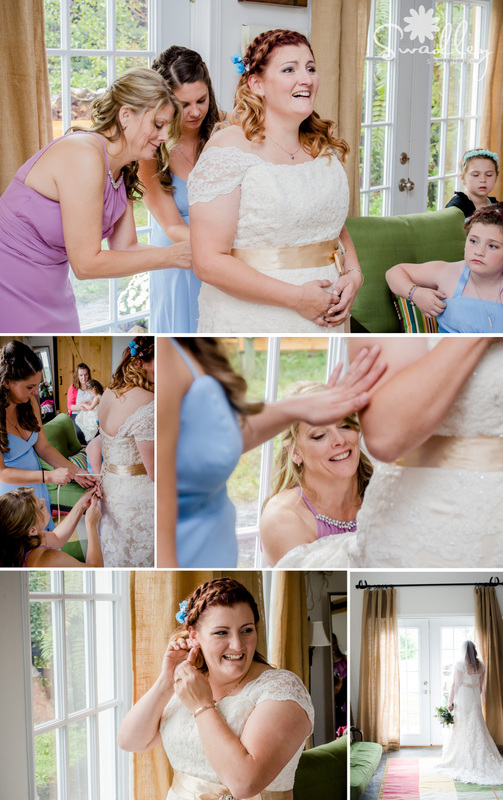 A little rain never stopped a great marriage from beginning, and this wedding at Cloverdale Barn in Winchester, VA was no different. Tionna & James were married at this quaint barn wedding venue, and had the help of one of the area’s best wedding planners, Amy VanMeter, to make sure every detail of their day was perfectly matched to their style. 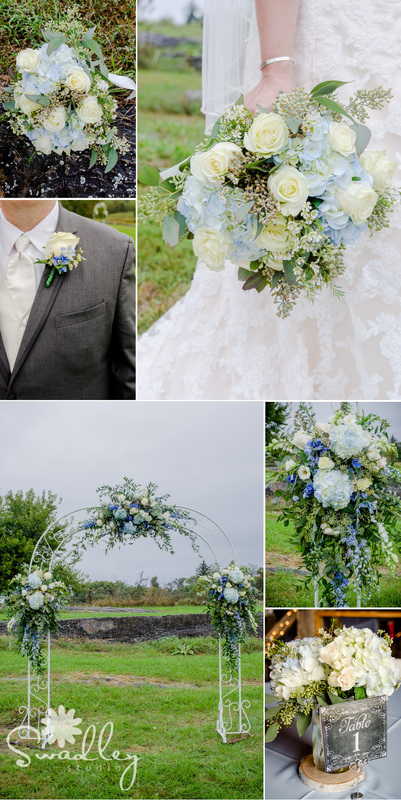 I loved the pale blue tones and rustic details throughout the decor, and who couldn’t fall in love with the gorgeous bistro-style lighting in the barn? Enjoy the images from their wedding day!